A story that reminds me of Animatrix – Detective Story and Sin City – A Dame To Kill for. 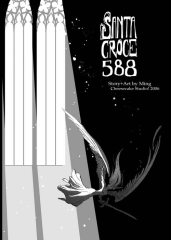 ming85 submitted cheesecake studios new comic Lady Gloves on deviantART. Mei-ing Nieuwland prefers the pseudonym Ming on the net. She is known as ming85@deviantART or ming at the cheesecake studio. With her current age of 21 she, besides being a medical student, involved in the cheesecake studio and working as a freelance illustrator too. At the moment she is located in Amsterdam, Netherlands. Two of her mangas have been presented here already, Santa Croce 588 and Cafe 1914. She has developed amazing skills in drawing and illustration. I accidentially found her on deviantART and I am pretty happy about that because I enjoy her work so much, especially the mangas/comics. I recommend that you check her website! 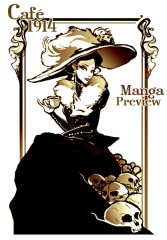 Cafe 1914 is a, 15 page long, comic done by Mei-ing Nieuwland aka ming85 on deviantART. Cafe 1914 is taking place in the same year and integrating historical facts. The two pretty cold-blooded main characters are developed very well. Significant for the story is the brilliant use of gestures and facial expressions. Enough of all the words, read it yourself, it’s a pleasure.